Caution, this bumper requires cutting the factory sheet metal bedside! 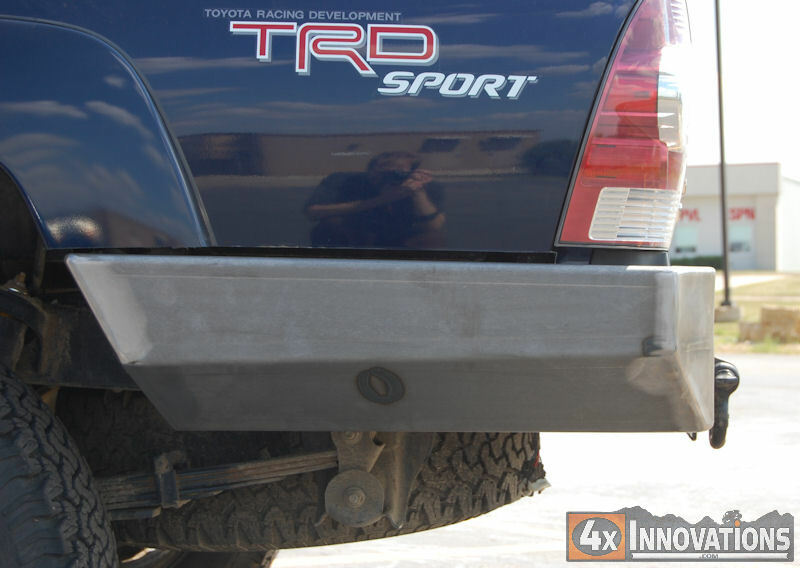 4x Innovations is not responsible and cannot be held liable for damaged bed sides due to the installation of this bumper. An installation guide is provided to give direction. 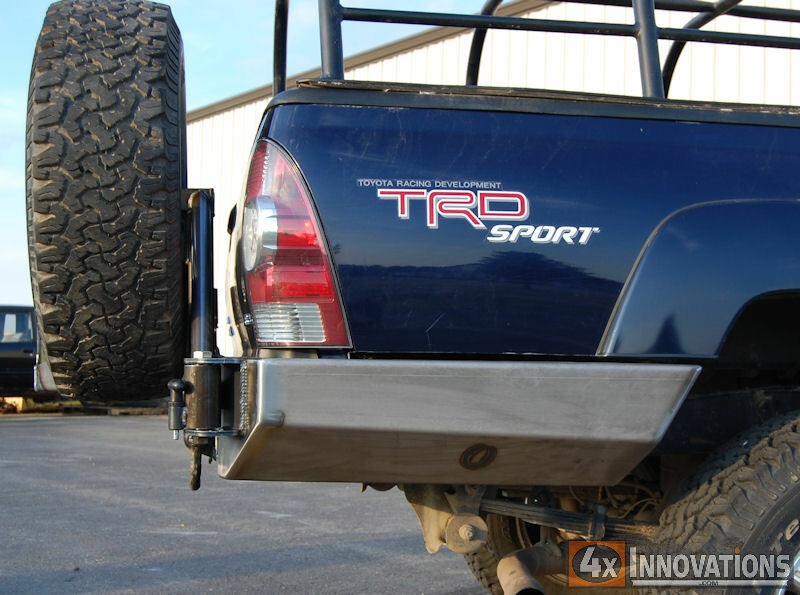 However, 4x Innovations can be held responsible for the 5x increase in awesome points your truck will receive when running this great bumper. 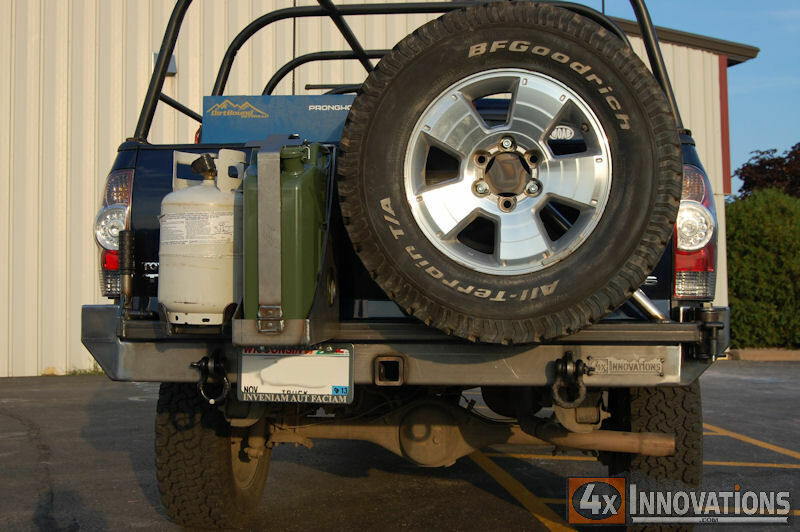 4x Innovations is proud to offer you the best High Clearance Wraparound rear bumper available. 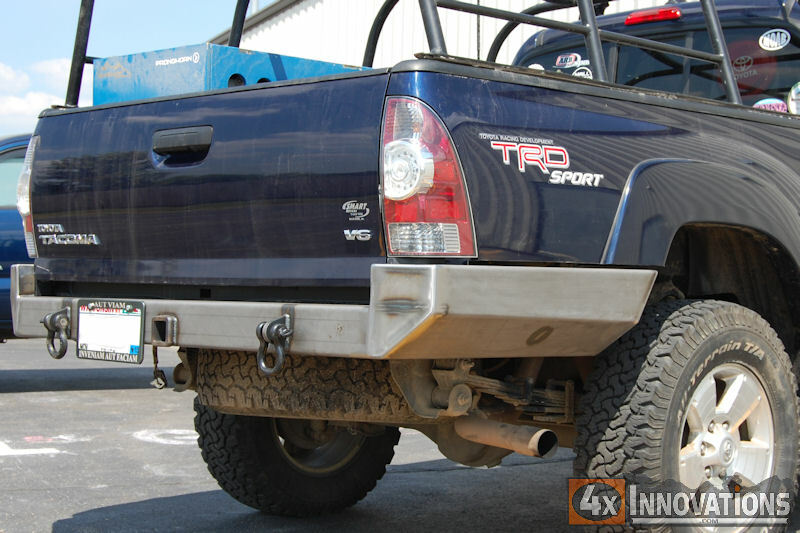 This excellently crafted rear bumper is designed with the serious wheeler in mind. Built at the government mandated minimum bumper height of 4 inches you can't get any smaller of a rear bumper without being hassled. You'll also gain great ground clearance and damage protection directly behind the rear wheels with the low profile, and reinforced side wings. Trimming away the stock sheet metal and installing the High Clearance Rear bumper removes about 4 inches of factory rock anchor sheet metal. 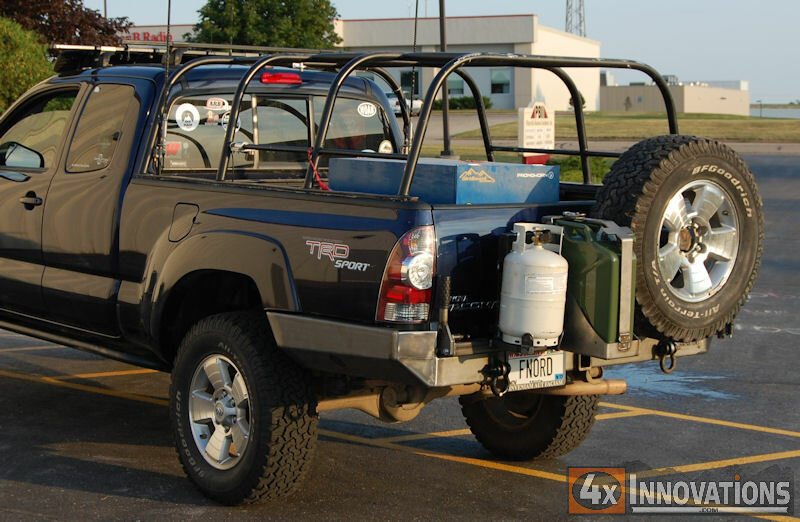 In addition the side wings are reinforced directly back to the frame, which greatly reduces the risk of rear quarter panel damage from those angry rocks, tree branches and stumps. 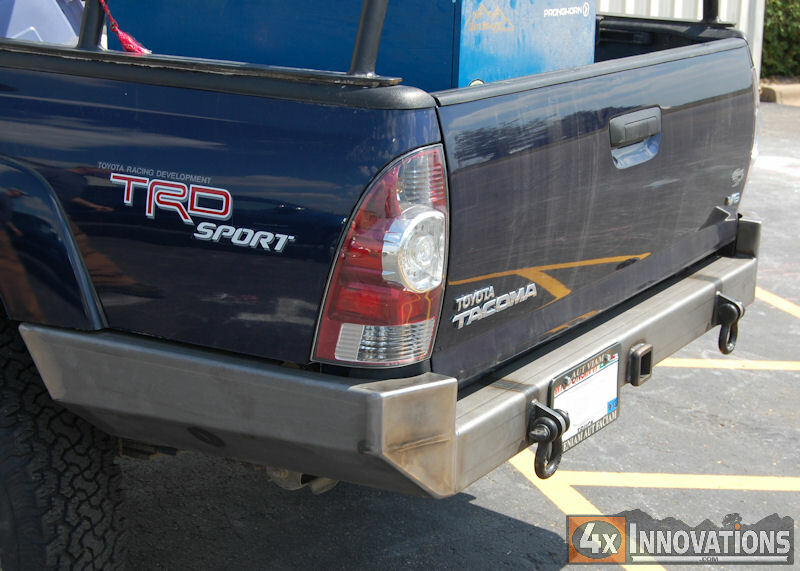 As with all of our great rear bumpers a class 3 hitch is built in and ready to serve your towing needs. A new improvement is the rear license plate mount. 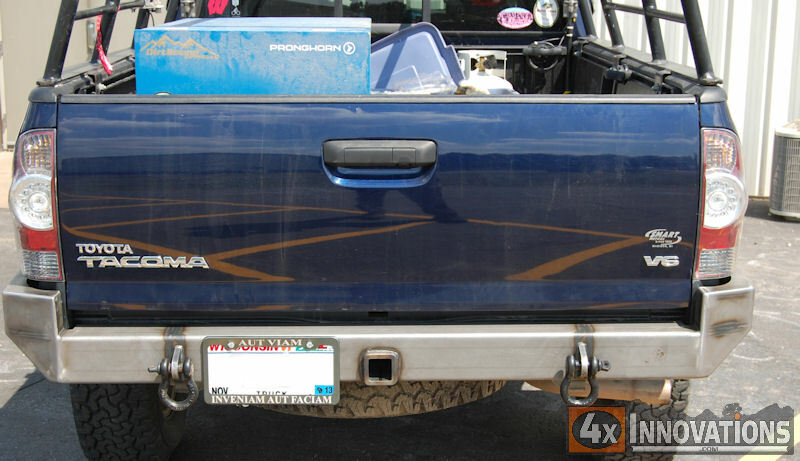 You're no longer stuck with having to remove your license plate to use your hitch! 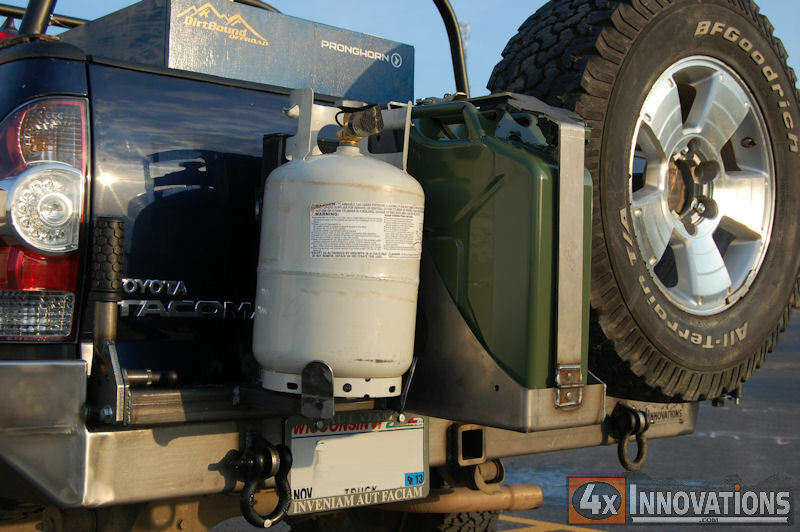 Instead a mounting plate is provided that attached directly to the main section of the bumper. This means no getting pulled over when all you needed was a simple bike rack. New LED bolt lights are also provided to light your license plate at night. High Clearance Rear Bumpers ship fully assembled, ready to paint and install. All required hardware is included. Additionally, edging material is included to provide a clean look on the cut edges of your bedside. Ships bare steel, ready to paint with the coating and color of your choice. Click here for Install Guide.